Back to school is an exciting yet chaotic time for kids and parents. The transition from summer fun to studying can be cumbersome. Still, study habits are important to academic success. From the right environment to organization tools, each item can be the foundation for achievement. With just a few suggestions, the kids will be on their way to asking to study more. Post-it offers a variety of school organization tools that can make studying seem less overwhelming. As school begins, the flood of paperwork deluges the house. A home command center can keep all the important papers organized and available. Personally, our family like the Post-it Grip Board. The Grip Board mounts almost anywhere with the Command Picture Hanging Strips. The folds can hold a variety of papers, from business cards to mail and even pictures. Now, all the test reviews, party invitations and must pay bills are off the counter top and puts them in plain view. The Grip Board retails for approximately $19.99. With ever changing and often busy schedules, a family calendar can keep everyone on track. The Post-it Dry Erase Planner offers a quick glance at family activities. With multiple columns that can be mounted vertically or horizontally, the planner can be used for sports practices, weekly chores or even family dinners. Erasing completed activities brings satisfaction to accomplish the long list of tasks. No more excuses for being unaware of an event or activity when the family can see each item written on the planner. The Post-It Dry Erase Planner retails for approximately $8.99. Once the family is organized, the kids need to hit the books. While studying may not be the top on their must-do list, it is a requirement. Make the studying time more efficient with Post-it Study tools. For older kids, preparing for the big tests takes preparation. When it comes to reading textbooks, certain key words or topics are important to remember for the big test. With Post-it Study Tabs and Flags, kids can quickly return to that specific point for reference. In a variety of bright colors, each color can refer to a point to remember. From vocabulary words to important dates, facts are at their fingertips. For younger kids reading that 20 minutes a night is a daily activity. Sometimes, the kids don't do the best job remembering where they left off in the book. In our household, bookmarks have been replaced with Post-it notes. The sticky notes make sure that little people can find the exact spot in the book to return to the story. With the new Post-it Brand Colors of the World Collection, the color combinations can denote each child's special pack. For the bold and bright girl, check out the Brazilian inspired Rio De Janeiro collection. For the water enthusiast, the Mykonos cool blues bring the colors of the sea. No more excuses for lack of organization in any household. 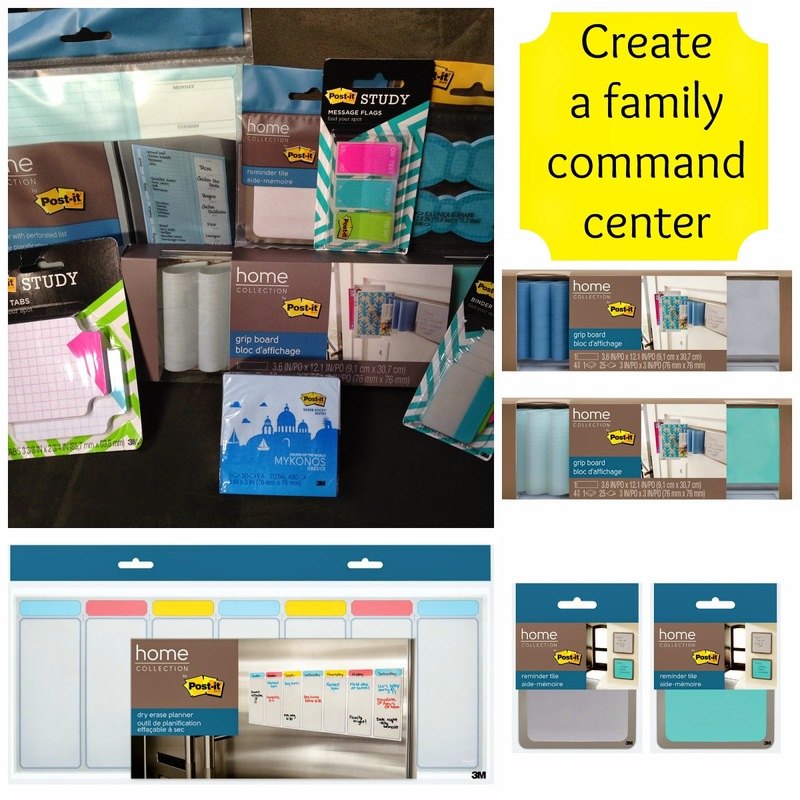 From family command centers to good study habits, Post-it and its line of products can make any job easy to tackle. Disclosure: I received some products from Post-it to facilitate this article. All opinions are my own.